Beats Studio headphones got their first redesign in five years. The Beats Studio were the very first pair of Beats headphones to be introduced more than five years ago. But it's only now that the wildly successful "cans" are receiving their first major overhaul. Beats are a controversial brand. Trendsetters and bass-loving music fans gravitate towards the headphones for their flashy looks and noticeable emphasis on the low end audio spectrum. Audiophiles criticize them as style over substance, decrying their overall lack of clarity in favor of bass. The new Beats Studio headphones are better than the last generation, but they aren't improved enough to sway the nonbelievers. The company won't speak much to what exactly it changed about the audio tuning -- except that it has a "better sound profile." In practice, the latest generation doesn't sound radically different from the last. Beats headphones still sound best with hip-hop, pop, and electronic music and there's still a noticeable emphasis on bass. But it does feel like the bass has been ratcheted down a couple of notches and tightened up a bit. More attention has been paid to the mids and highs, adding more clarity and creating the effect of a more immersive stereo experience. Despite the improvements, the new Beats Studio sound is still not without flaws. The bass still has a loose, boomy quality to it, which can interfere with the overall balance of the aduio. And because the Beats Studio utilize active noise canceling and digital sound processing that you can't turn off, you don't get the purest possible audio that the headphones can provide. Beats claim that they've created these technologies to adapt to the environment you're in and the type of music you're listening to for an optimal experience. For those OK with the noise canceling (and it's pretty decent for what it is), one nice addition to the headphones is the inclusion of a rechargable battery that is rated for up to 20 hours on a single charge. That may be a bit of a stretch, depending on your listening habits, but most people can go two to five days between charges. 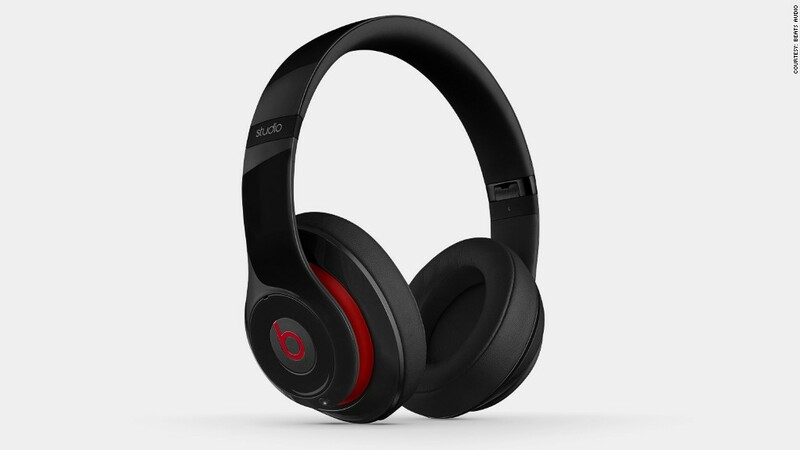 Beats also tweaked the headphones' design. The Beats Studio are as shiny and branded as ever, but this time around, the sharper lines and toy-like appearance have been eschewed in favor of something a bit more curvy and aerodynamic. The headband has been redesigned for added comfort, as have the ear cups, which now sit on a 360-degree hinge to better fit your head. The Beats Studio are well-constructed and comfortable. They're a bit on the heavy side, but most should be able to wear them for hours on-end without experiencing headphone fatigue. Overall, there are headphones that may provide a better value, and headphones that may sound better. But audio is like wine -- what makes it "good" is very subjective, and personal preference is really all that matters. Compared to other noise-cancelling headphones on the market, Beats Studio's $300 price tag isn't obscene. If you like the overall sound profile of Beats products, they're not a bad pick when they hit stores on Aug. 4. They're just not the headphones for everyone.